I love everything about the fall. But one thing captures my heart more than any other: the food! The green chile stew, tamales, posole, red chile carne adovada and warm sopaipillas are all representative of the New Mexican culture. I love making these for my family just as much as they love eating them! 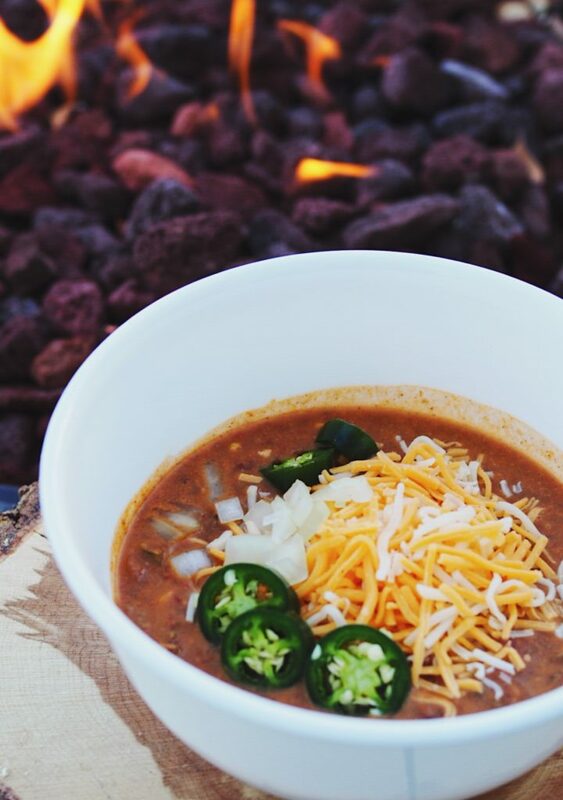 But there’s one dish that is rooted in Texas culture, rather than New Mexican, that we just can’t get enough of: Spicy Texas Chili! 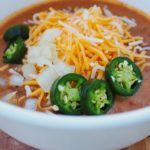 Spicy Texas Chili is one of our all-time favorite meals and this recipe you’re about to try adds a little bit of my New Mexican flare with a touch of extra heat. Paired with homemade flour tortillas heated over an open flame and melted butter, you will have the absolutely perfect meal for a cold day! I’ve never given this to anyone who hasn’t asked, “What did you put in this?! It is so good!” And they always, always come back for seconds or thirds. 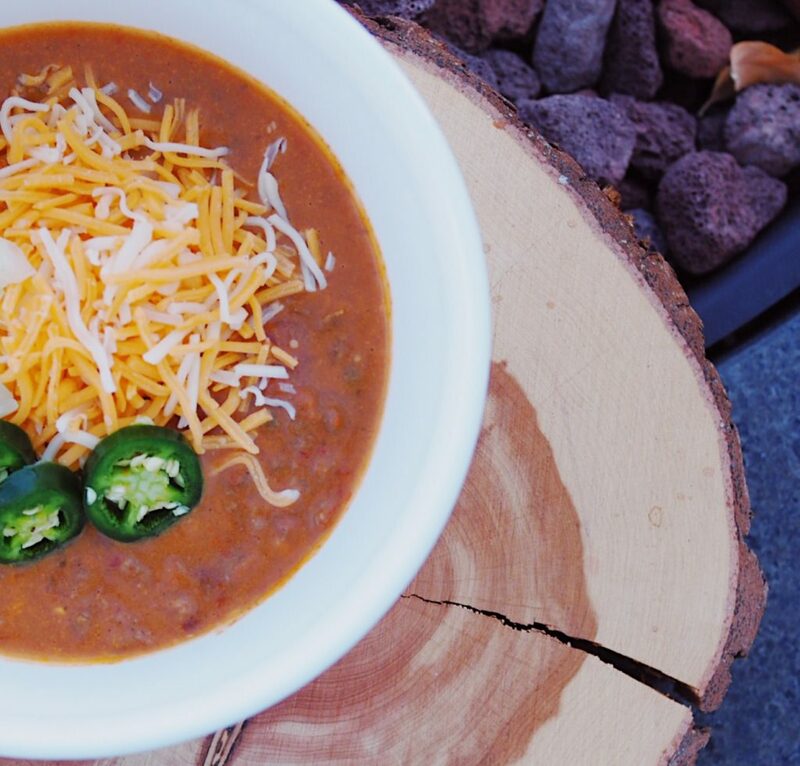 This chili is a flawless combination of heat and perfectly-balanced flavor. One of the unique instructions in this recipe is the blended beans to help thicken the chili. I love to top mine with sour cream, jalapenos, onions or green onions and lots of CHEESE! You can choose any garnish that you like for this chili. Also, If you don’t like spicy, don’t shy away from this recipe! You can absolutely take the peppers out completely and the flavor of the chili will still be just as delicious! Now let’s get on to the recipe! Enjoy! Tell me what you thought of this recipe in the comments below! 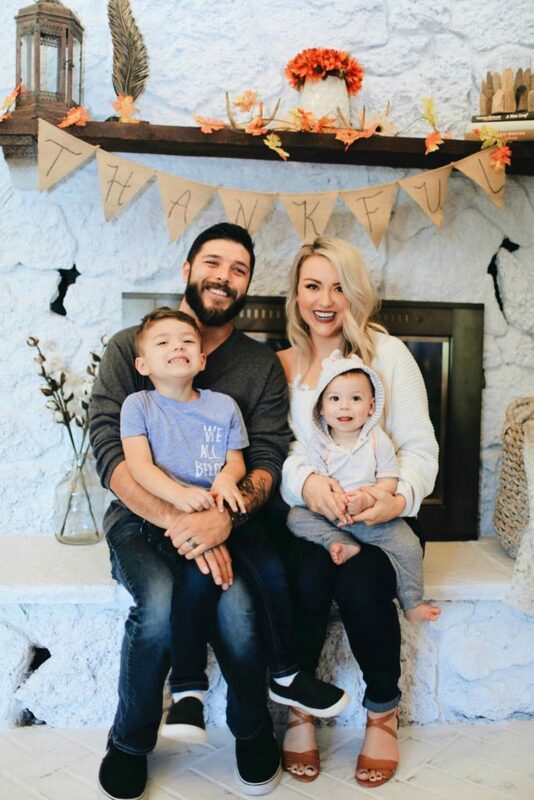 This recipe is absolutely perfect for fall! 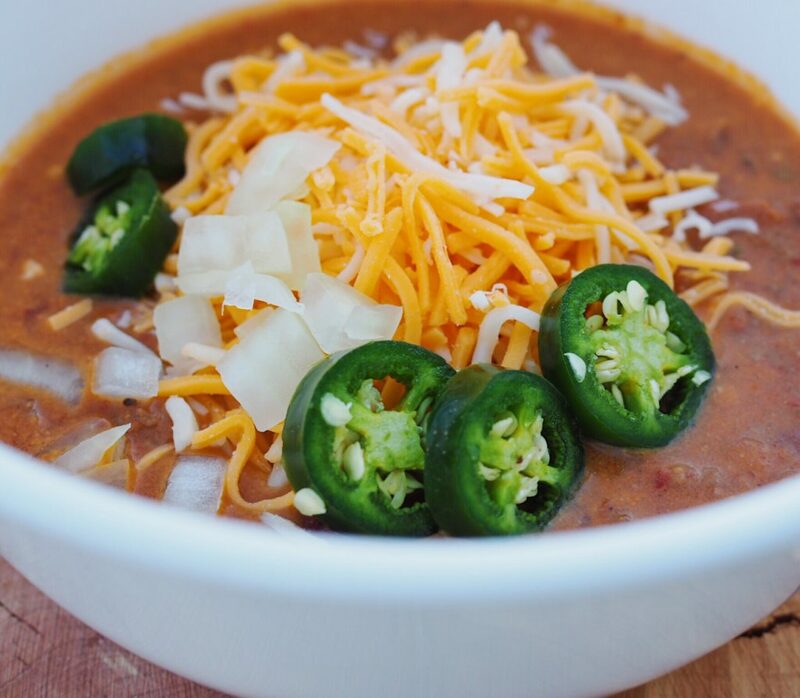 Spicy Texas Chili, paired with a fresh tortilla, is the perfect meal for a cold day! Jalapenos, habanero, ground beef and beans is easy to make and loved by everyone! Mix together all chili seasoning ingredients. Chop the onion, jalapeno, habanero and garlic until fine. Use one cup of kidney beans and one cup of pinto beans. 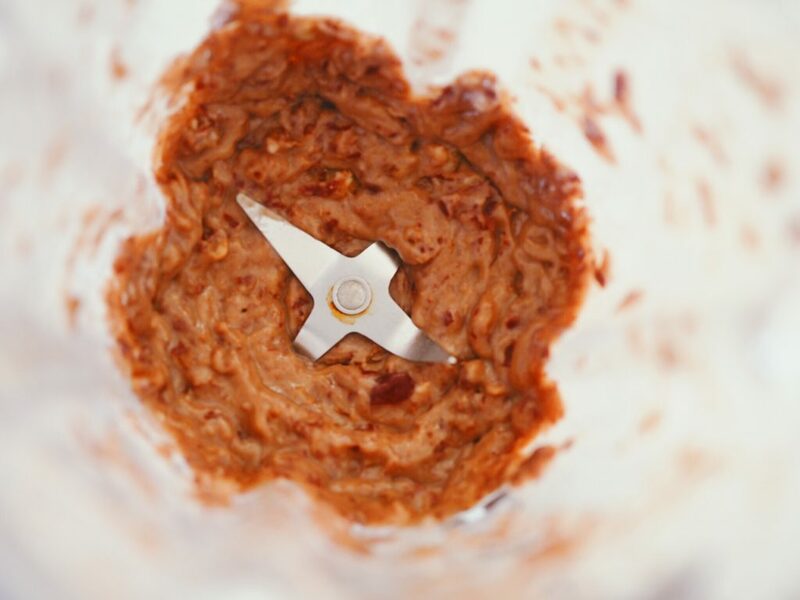 Pulse them in a blender until it resembles a paste. Cook ground beef in a large frying pan until browned. Add 3 Tbsp. of chili seasoning mixture. Drain the meat and create a "hole" in the center of the pan. Add jalapeno, habanero, onion and garlic and saute until soft. Once meat mixture is cooked, transfer into a large pot. I used a large cast-iron deep oven. Drain liquid from the beans and crushed tomatoes. Add into pot with the bean paste and remaining seasoning. Add in chicken stock and stir. Cover chili with lid and allow it to simmer on low for one hour. 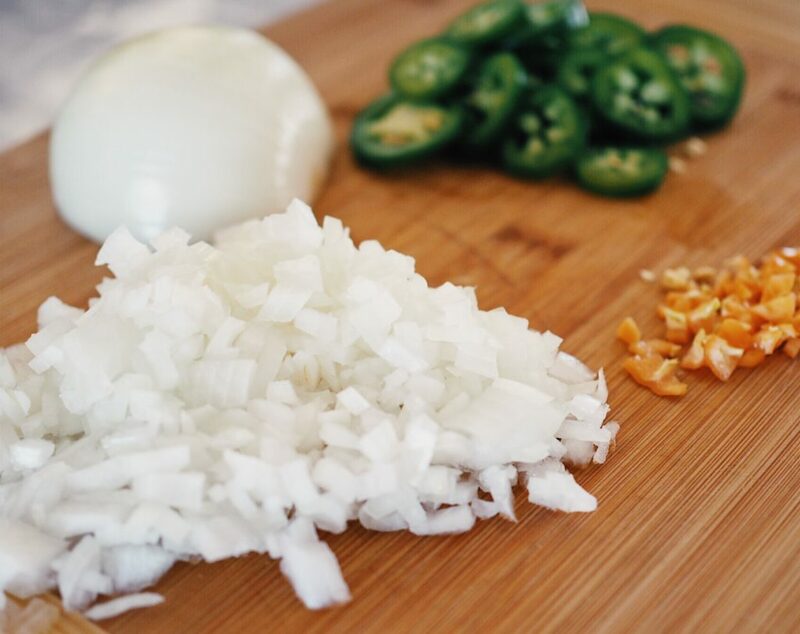 Add additional salt to taste and garnish with shredded cheese, jalapenos, onions and/or sour cream. Enjoy! To reheat, place on the stove and add additional chicken stock to thin out chili as needed. If you prefer not to have the peppers, you can take them out completely or replace them with red bell pepper. Did you like this recipe? 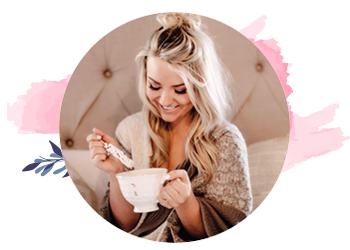 Check out a few of my other favorites!